I'm really excited about this pack and naturally I'll document my findings here. I intend to post this wrap up in 5 parts so you can follow along only a few days behind me. I'm hoping it'll be a great journey and I'm looking forward to trying some Bridge Road beers that I haven't had a chance to sample yet. Hopefully you enjoyed the first installment, let's get into the second! 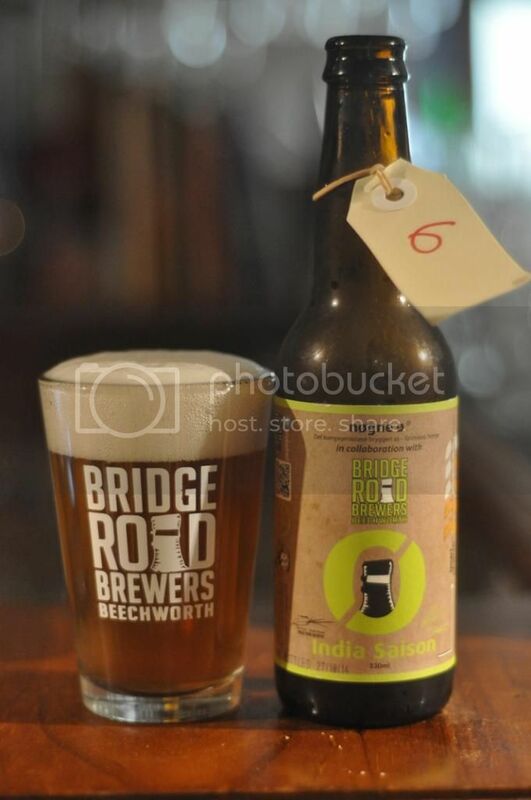 Day 6 - India Saison - This beer has been a favourite of mine since it's initial release. It was brewed in collaboration with Norwegian brewers Nøgne Ø. As mentioned ad nauseam on Beer O'Clock Australia Nøgne Ø are one of my favourite international brewers and hardly ever put a foot wrong! If I had never had this beer before, looking at that pour I'd be excited! The beauty of the head, which laces the glass and maintains good coverage, is completely overshadowed by the smell and taste! The aroma is strong with hop bitterness complemented by a spiciness from the yeast. The taste is more funk driven than the hop driven nose, but the two distinct elements contrast beautifully. It truly is an IPA crossed with a Saison! 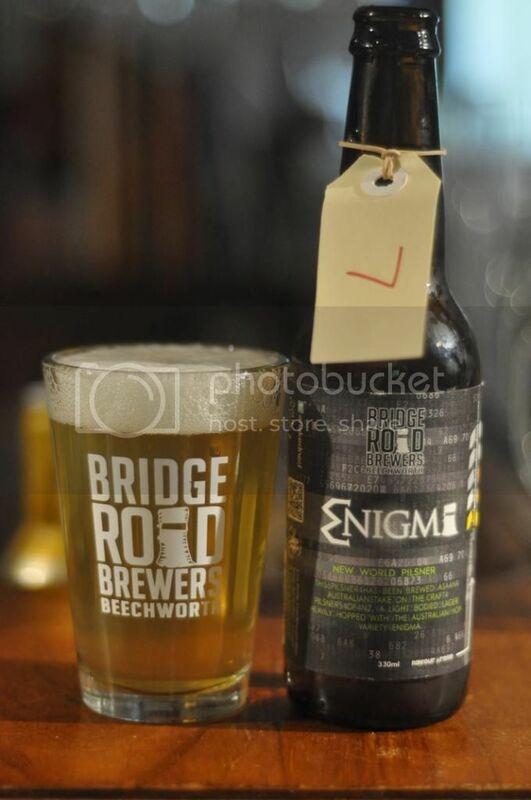 Day 7 - Enigma - I first had this beer back in May on tap at the Gertrude and was immediately in love! Here was an Australian pilsner to rival all of the great ones produced across the ditch in New Zealand. Much like the Chestnut Pilsner, it pours a light straw colour with a brilliant white head. That is where the similarities end; the nose is full of melon as well as some other tropical fruits and some crisp malts. The flavour is a bit different with more malt coming to the fore. It's very hoppy with melon and citrus dominant flavour and floral and spiciness in the background. If this is anything to go by I can't wait to see more brewers utilize Enigma hops! 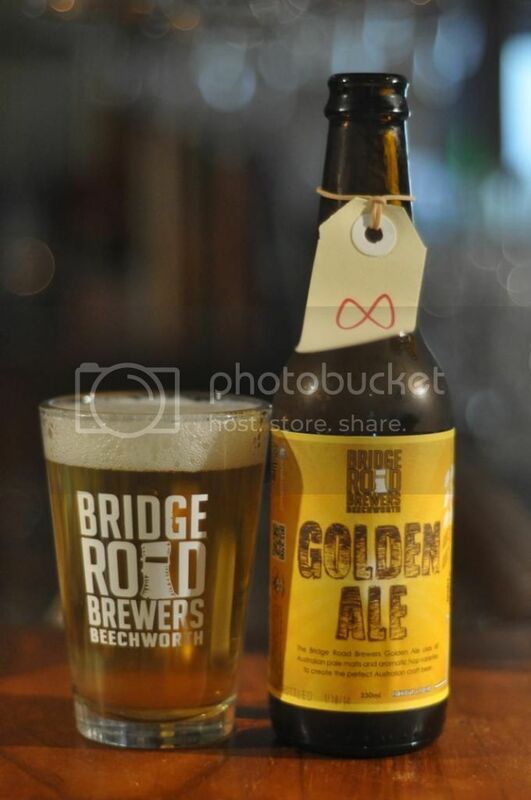 Day 8 - Golden Ale - We kicked off week two of #beerdvent with Bridge Road's Golden Ale. It's a beer I've had before and thought was pretty easy drinking back then. Given it's called a Golden Ale I thought the pour was a little on the yellow side, but that minor criticism aside it's a good looking beer. Golden Ale is a term I'm always wary of - I feel it gives brewers a license to make a very macro style pale ale. This is exactly what I feel has happened here. The nose is quite subdued with grass and apricots aromas there but sweet malts dominating. While the taste was similarly disappointing with very little bitterness coming through and only some citrus adding to the grassiness. I though it was just a bit lacking overall. 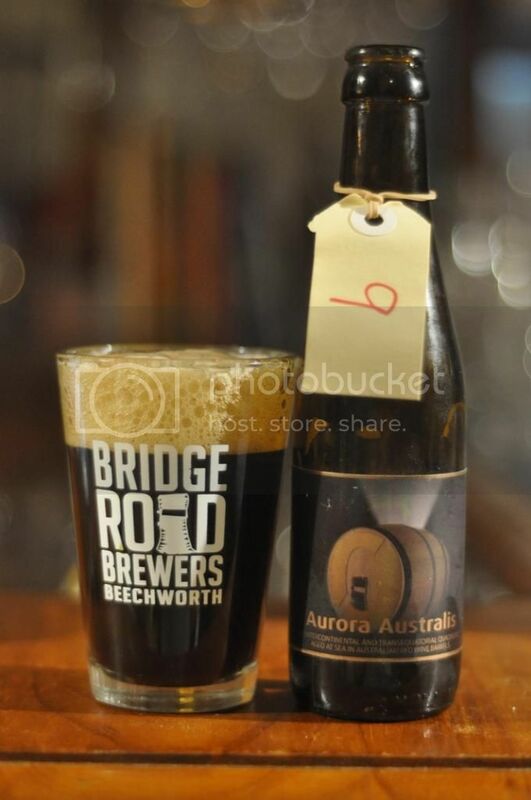 Day 9 - Aurora Australis - Today we get to the first of the beers I was really hoping we'd get in this pack; another Nøgne Ø collaboration, Aurora Australis. This beer was brewed at Bridge Road and then shipped to Norway in red wine barrels to be bottle by Nøgne Ø. It's a hell of a journey and it's now almost two years old, pretty close to the perfect time to crack into it! Aurora Australis is a very dark looking quad with excellent head retention, albeit a little patchy in the picture. The nose is full of red wine, oakiness and funk as well as some sultanas and caramel malts. It's an amazingly complex beer with a sour red wine flavour dominant and dark fruit sweetness in the back. It's got a creamy, boozy mouthfeel and I can't wait to see what another two years does to this beer! 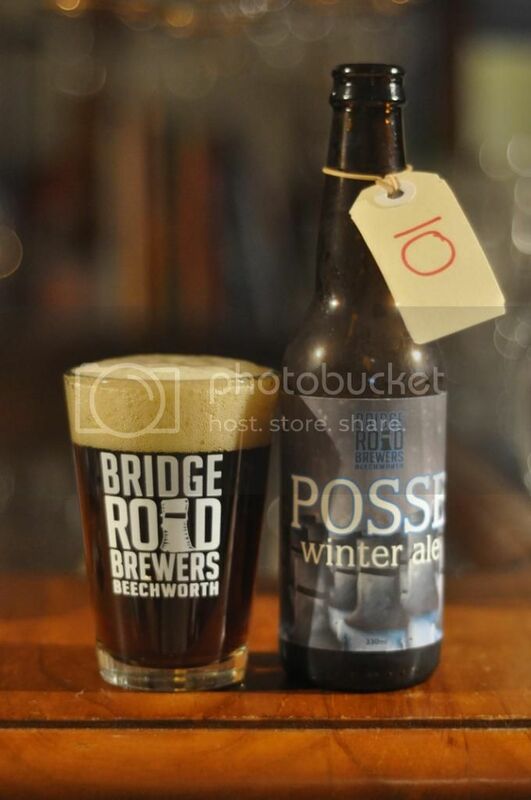 Day 10 - Posse Winter Ale - Posse is the Bridge Road Brewers club and this is one of the two exclusive beers they brew for them. This is my first time getting my hands on this and I'm really looking forward to it. The beer pours a deep brown colour with reddish tinges. The head is about the best I've seen so far in #beerdvent, it was thick and had great retention. I had very few ideas what to expect when I saw the words "winter ale" on the bottle. It was fair to say smokiness wouldn't have been in my top 10 guesses! The nose and taste were similar with smokiness and nuttiness dominant. I was very impressed with the drinkability such a smokey beer offered.